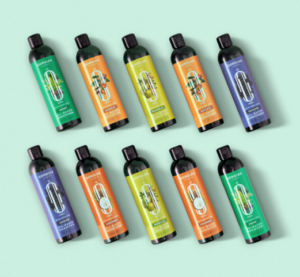 Gorgias London introducing new luxurious collection of natural O’ Range facial oils and hair products – Art, Food, Travel and Fashion! GORGIAS LONDON IS ON A MISSION TOP ROVIDE HONEST LUXURY. Born from the desire to create effective and luxurious natural beauty solutions. An Independent Beauty Brand, Gorgias London passionate about botanical based, ingredient-led skin and haircare, designed to enhance your natural beauty while simultaneously helping you to feel good from within. The founding team behind the brand had an ambition to create a luxurious but accessible beauty solution with natural ingredients at the core. It was essential that as well as being luxurious, the products needed to provide effective results and above all they needed to be honest. HONESTY AND INTEGRITY ARE AT THE HEART OF EVERYTHING THAT GORGIAS LONDON DOES. 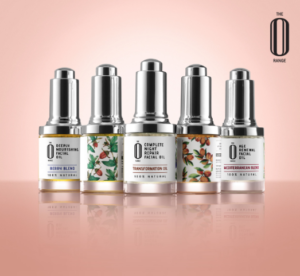 ‘THE O RANGE’ BY GORGIAS LONDON is an oil-based hair and skincare collection, mainly manufactured in Great Britain. The luxurious and highly-effective formulations have been created using blends of carefully selected cold-pressed oils, known for their restorative properties for a truly indulgent experience every day. When it comes to beauty, the Gorgias London team believes it must always be rooted in honesty. The name Gorgias London was inspired by the work of the ancient Greek philosopher, Gorgias of Sicily. THE GORGIAS PROMISE We always strive to seek out the best quality natural actives to develop highly effective and ethical products, that will deliver the best possible results. Formulations will always contain the highest possible amounts of proven naturally-derived active ingredients in carefully considered blends Labelling will always be honest, showcasing the exact percentage of natural ingredients contained within the product and clearly highlighting the vegan/vegetarian status All products are cruelty-free and contain no synthetic colorants Gorgias London will continue to innovate to create naturally gorgeous and effective beauty solutions and already have a wealth of exciting launches planned for 2019.